Pioneers in the industry, we offer pendent sprinkler, automatic sprinkler system, sidewall sprinkler, ul sprinklers, fire sprinklers and sprinkler alarm from India. 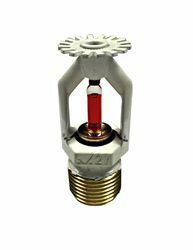 For the diverse requirements of our clients Mercury Fire Protection has involved in utilizing superior quality material offering a wide array of Pendent Type Sprinkler. Offered products are widely used in residential, Industrial and commercial sectors. Mercury Fire Protection LLP is involved in manufacturing and supplying a huge range of Fire Sprinkler system. Sprinkler systems detect and report fires and automatically initiate the extinguishing process with water. In the event of a fire, only the sprinklers located in the immediate proximity of the fire will be activated. Immediate extinguishing action using water is taken, while the remaining sprinklers remain closed. We have emerged in offering our valuable customers a wide array of Side wall Sprinkler, the entire range is designed with utmost precision to ensure full compliance with international standards of quality. These sprinklers are fitted on side walls and are covered with wall panel, on exposing to heat the panel moves up and sprinklers starts to shower water. Mercure fire Protection LLP offer to our esteemed clients the top quality of fire UL sprinkler system that is procured from the renowned vendors of the market. We offer fire sprinkler systems which are featured with superior quality standards and innovative design. To meet the diversified requirements of our prestigious clients, we are extremely emerged in offering Fire Sprinkler System. 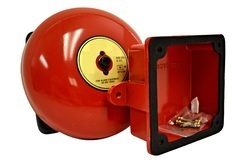 We are engaged in offering a quality assured assortment of Sprinkler Alarm to our valuable clients. 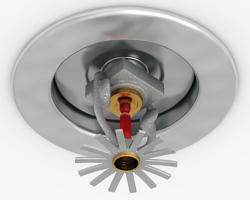 Looking for Sprinkler Alarms ?